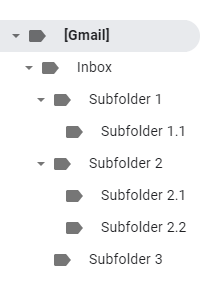 Hover over the Inbox Title for the folder, and you will see a settings icon appear, if you click on that you can create new sub-folders. Those folders will sync to your Android when you sync the email account. If they do not, then remove the account from the Android and re-add it again.